In need of structured cabling here in Fort Mill? Don’t worry, we have you covered. We can provide you with all your network cabling for your office or warehouse. From Category 5e, Category 6 and Fiber Optic cable solutions, we have installed many cabling infrastructures for hundreds of businesses just like yours over the last 21 years. Let us provide you with a cabling infrastructure that will take you 15-20 years into the future of your company’s growth. 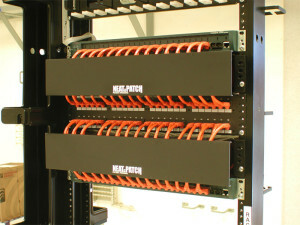 Cable installation/support includes: Cat3, Cat5, Cat5e, Cat6, Cat6a, fiber optic, and coaxial. Our company is set up to help businesses of all sizes and all budgets. No matter if you are operating from one location or you have several locations that need to be networked, our voice and data cabling services are the backbone for a growing business.We can design and develop a fully integrated system that will do as much as you want. We will do all the work behind the scenes and allow you to reap all of the benefits. When you choose us you will receive the benefit of a company that can completely design, develop and install your cabling infrastructure. We will be able to seamlessly integrate your data and voice services so you will not have to worry about missing a call or losing any data. This is necessary if your business is going to run smoothly. Our services for voice & data cabling will allow your networks to maintain the data they need to stay in business. We know the importance of communications and we will help you stay in touch with your business. The communication revolution is here, and you need to get connected today. Our network cabling services are all you need to get and stay connected. When voice and data cabling is not installed correctly, a business can fail. These cables carry vital information from one place to the next. If they are not able to do their job, you will not be able to do yours.